SHE GETS THE POINT — Just in case anyone near the Classic Center in Athens did not know that it was Kate Carter (bottom left) who had just been named the 2012 Georgia Scholastic Press Association Adviser of the Year, the staffs of Grady’s publications and broadcast programs make it impossible to miss her. Carter’s honor was a major moment in a day filled with highlights for the Grady journalism program. 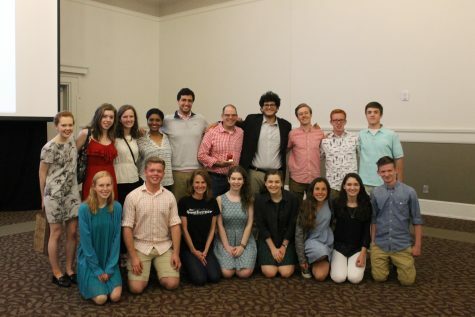 The staff took home 10 General Excellence, four Achievement and 38 individual awards. 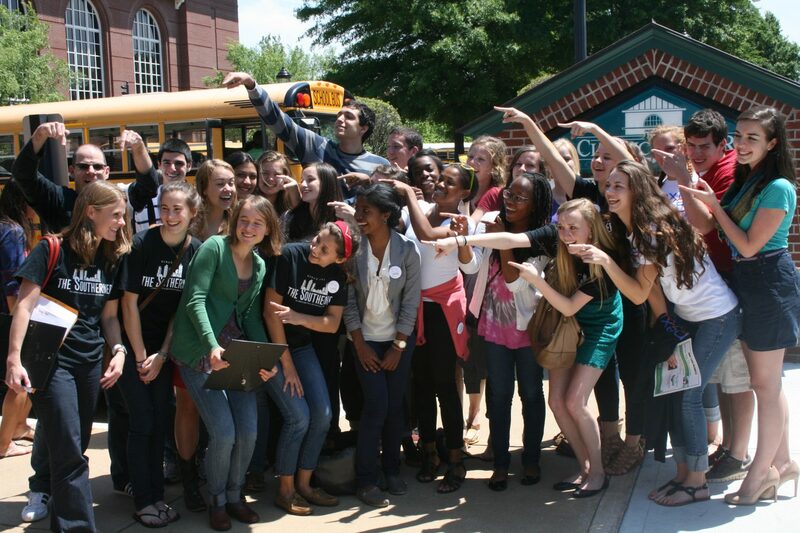 Grady News Now and The Southerner were named the top broadcast program and newspaper in the state respectively. Nexus magazine earned a superior rating, putting it in the state’s top three newsmagazines along with two of the most respected scholastic publications in the state. Juniors Isabelle Taft and Troy Kleber earned the top two spots in the competition to determine Georgia’s 2012 Junior Champion Journalist. Photo by Jason Carter.